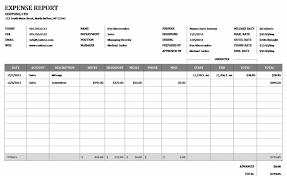 Our free reimbursement form template is very useful in terms of tracking an employee’s budget during business trips, travel expenses or even driving expenses. This usually helps in making sure that the costs of what the employee has spent during that said trip for the company will be carefully reimbursed for the employee and company agreement. Usually, employees are given a company card in which every penny they use will be charged to the company itself, as long as it’s within the company’s interests. With our free reimbursement form template, you’ll be able to keep track of what your employees have spent during their business trips or even smaller expenses such as hotel expenses, foods, office supplies, telephones and etc. This will give you an overview of the total amount the company has spent through that specific employee. Our style for the reimbursement form template is very simple in its form. It greatly mirrors with what our mileage log template has in their design. There are minor differences, however, but a title for the document has been stated at the very top, which won’t be hard to miss by anyone and will therefore be easy to spot in a stack full of other invoice forms. Now, below the title is the personal information of the people involved with this reimbursement form, such as the employee and the supervisor. Their names will be asked, along with their position in the company. A part for the department has been added, in order to make it easier for arranging purposes. 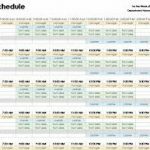 The purpose for the template itself has also been added, where it should be specified accordingly to what the employee’s reimbursements are for. On the other side of the document is the minor breakdown which will be used by the people checking the template. The breakdown includes the duration of the period spent by the employee in their budgeting costs, and the specific start and end date. There has also been a small section of the document in which the advanced money has been stated, along with the expenses and the reimbursement, depending purely on the costs stated by the supervisor. Lastly, there is a table meant for the percentages of the entire expenses that have been made by the employee. 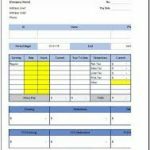 Next on the reimbursement form template is the table in which everything little detail has been thoroughly specified by the supervisor of the employee. The titles for each column of the table consists of the date, description, category and the amount. Below this will be the total amount of money the company needs to pay for what the employee has cost. There is also a second sheet meant for the categories of the expenses by the employee, which includes mileage, travel, food, telephones, office supplies, tools, postage, subscriptions, training fees, legal fees, license fees, passport fees and other miscellaneous. Lastly, there’s a third sheet meant for the instruction.